For our giveaway this week, I want to introduce you to Megan from Picture This Photo Solutions, whose in the business of helping you organize your precious memories, whether in print or digital, so that you can treasure them instead of dreading tackling that box in your craft room! Megan and I had a few minutes to chat- and I learned a ton! PwcMoms- Tell me how you got into this business? Megan- I was laid off from my corporate job shortly after my first child was born. My husband and I decided that we could afford for me to spend the first year at home with her. Well, that one year turned into three and by then my son was born. At that point, it was definitely time to go back to work, but I wanted to find a job that I was passionate about. I’d toyed with the idea of making photo books into a business for years and finally got the spark I needed when I learned about the Association of Personal Photo Organizers last summer. I’ve always been passionate about photography and strongly believe in the importance of using photos to tell a family’s stories. 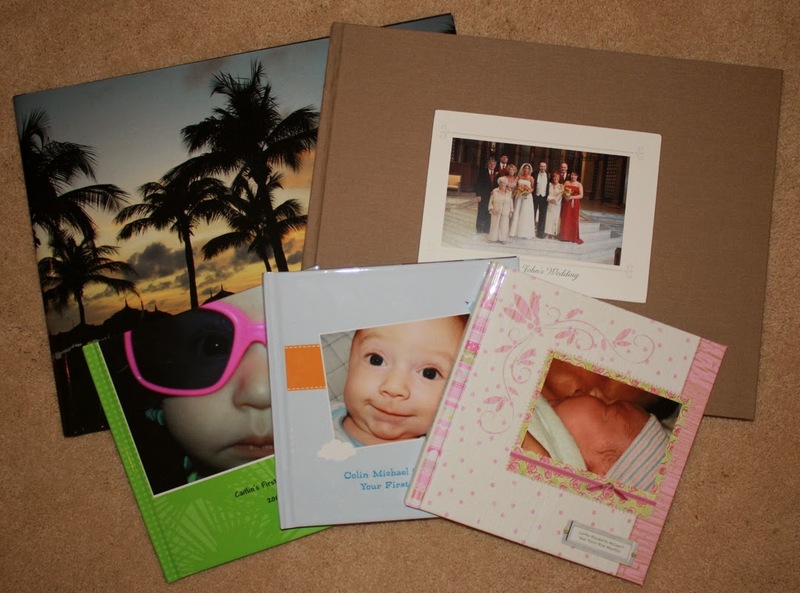 I’ve seen the positive impact my photo books, calendars and other gifts have made on myself, my children and my family members and I want others to benefit from their photos as well. So many of us feel stress and anxiety about the state of our photo collections and are completely overwhelmed at the sheer volume, not to mention the confusing array of photo sharing sites, cloud back-up, storage, etc. I want to relieve that stress and help make photos enjoyable again, get them back into your life, instead of squirreled away on a hard drive or a social media site. PwcMoms- 86% of the photos we take never make it off the camera, according to your site. I know I joke that my children’s lives happen on my iphone. What’s the difference between a printed photo and a digital photo? Megan- Where to begin… in basic terms, a printed photo is tangible and a digital photo is intangible. A printed photo can be tucked away in a book or box to be discovered decades, even hundreds of years later as a kind of treasure. A digital photo is simply a set of data that produces a beautiful image on your computer, but the chances of it being discovered decades later are slim to none when buried amid millions of other files on your computer. Printed photos hold up remarkably well for hundreds of years even when NOT stored properly. Digitals photo can, of course, be archived, but think about how quickly technology has changed, even in the last decade. Even if you find a way to store your digital photo files for hundreds of years in the cloud or on a DVD, will that DVD or JPG still be readable and relevant in a hundred years? Probably not. So that’s the technical side, then there’s the emotional side. Psychologists have witnessed that holding a photo of themselves can boost a child’s sense of well-being and self esteem. Personally, my children love watching their “movies” (digital slideshows I make for them with photos and videos of their adventures) but that attention is fleeting. However, they both pore over the photo albums I’ve made for them, turning the pages, reminiscing about their little lives and all they’ve seen and done. You can take your time with a printed photo, you can smell a printed photo, you can feel a printed photo. It’s just a completely different sensory experience to viewing a photo on screen. And then there’s the issue of privacy and safety. Documenting your children’s life on Facebook has ramifications far beyond what most of us like to imagine. A recent article discussed how damaging it can be for our kids in the future as their lives, including all the ups and downs have been documented online, sometimes publicly. Also, if your smartphone is allowing GPS data to be embedded in every photo you take, there are crazy people out there who can actually stalk your child and determine the exact location of your child’s bedroom in your house. PwcMoms- I think as moms, frequently we turn to pictures as a personal and sentimental gift for grandparents/aunts/uncles, do you offer options for that? Megan- Yes! I have some AMAZING options for photo gifts. 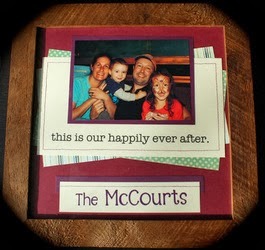 In fact, I just wrote a blog post with 15 ideas for holiday photo gifts last week. I design photo books, slideshows and calendars, to name a few, for clients who like to give these gifts but can’t find the time or don’t have the patience to create them. For home decor, one of my favorite vendors is Artsy Couture. Their products were previously only available to professional photographers, but through my membership in APPO, I’m able to use YOUR photos on their outstanding products. Another amazing and unique gift available through one of my vendors is sterling silver photo jewelry. Charms, necklaces, bracelets, etc… the list goes on and on! 4. Pictures are such an intimate thing- you must have some awesome and thankful clients! Can you tell me your favorite client story? My most favorite client story happened earlier this year. I was at a networking lunch on Friday and after the meeting, a woman walked up and said she needed my help. She said she was trying to create a slideshow for her mom’s 80th birthday and was having trouble getting it done. I said, “No problem, I’m happy to help!” She said, “One catch. The party is tomorrow and I’m in meetings the rest of the afternoon.” I said, “No worries. Give me a call this evening and we’ll get it done.” So, she called around 6pm, I met her at Panera, got all her photos, designed the slideshow and delivered it to her by 9am the following morning! Not only was she thrilled that I was able to complete the job that quickly, but the slideshow brought her to tears. Happy tears, of course! I just LOVE seeing the reaction of my clients when they receive their photo gifts and was so happy to have been able to help get her slideshow completed. She said it was a huge hit at the party and that her mom just loved it. Another great client contacted me to digitize his family photo albums so that each sibling could have a copy. Scanning is a huge part of my job and one of the best ways for someone to be able to share their memories with all their family members. Scanning is also a great option when families are going through a divorce. Scanning allows both parties to have a copy of the family’s photo collection without getting into an argument over who gets to keep the albums. Once the images are scanned, prints can be made and new albums can be created so both parties are content. Megan is giving away a gorgeous 10×10 aluminum wall art panel that will be a perfect way for one of you to display one of your favorite hi-res photos. For those readers who don’t win, she’s offering 10% off if they’d like to order one for themselves or as an early Christmas gift for a loved one (score!). Finally, the very generous Megan is offering all of my readers a free 15-minute phone consultation to answer any pressing issues they might have about their photos. Just give her a call and use the code word “PWCMOMS” 703-875-0554. As always, this contest is not affiliated with Android, the Apple App Store, Facebook, or anyone else big and expensive. Winner assumes all liability, prize provided by contest sponsor. See our official rules (which you agree to by entering) here.